Boku Inc, (LON:BOKU) CEO Jon Prideaux talks to DirectorsTalk about its strong set of results. Jon talks us through the highlights, expands on investment into mobile identity, explains the main factors driving growth and lets us know what we can expect for the remainder of 2018. Incorporated in 2008, Boku inc is the leading independent direct carrier billing company in the world. Boku’s technology enables mobile phone users, of which there are more than five billion worldwide, to buy goods and services and charge them to their mobile phone bill or pre-pay balance. 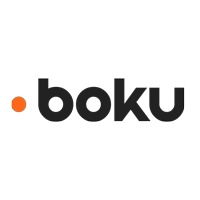 Boku’s platform connects its customers, including Apple, Google, Facebook, Microsoft, Spotify and Sony, with billing, identity and sales systems of mobile network operators. The Group’s technology makes a consumer’s mobile phone number a convenient and secure payment method, providing an alternative to credit and debit cards. By using Boku, merchants take people with mobile phones and make them paying users.